Finally all three of the SWP red and yellow GP11's are together on one train. The Z687-29 freight local pauses in Broadford for a signal to get back onto SWP trackage. Then it's off to Everson where the freight cars will be staged. 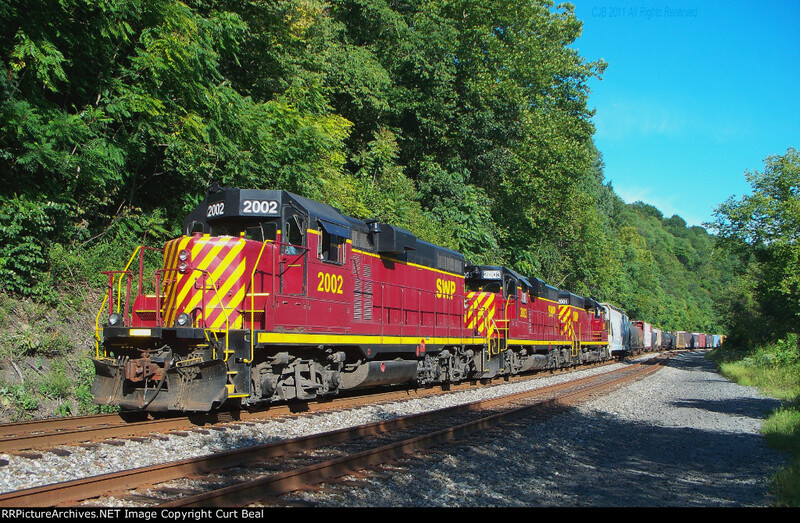 #2002 is a former UP 708 GP7 built in 1953. Also SWP 2002 was used in the famous "Unstoppable" movie for the locomotive on the excursion train that barely avoided hitting the runaway train.